Producer Entertainment Group (PEG) proudly manages the world’s top drag queen artists, LGBTQ talent and influencers. We oversee all aspects of our clients’ careers including development, recording, filming, retail and global touring. PEG artists have broken into all areas of mainstream entertainment including television, film, commercial, music, publishing and more. We are online at producerentertainment.com and on social platforms @PEGmgmt. PEG voluntarily abides by SAG-AFTRA’s Personal Manager’s Code of Ethics and Conduct and by guidelines of the Talent Manager’s Association. David Charpentier founded Producer Entertainment Group (PEG), a full-scale entertainment management and production company, in 2006. Prior to forming PEG, he was an executive producer in top 40 terrestrial radio, a concert producer, and a talent buyer for major events and festivals. Inspired by creative, tireless, and passionate artists, David has worked with over five hundred performers and bands in the course of his career. Based in New York City, David is an ardent green thumb and usually has a cat in his lap. Jacob Slane built his career at Viacom Media Networks, one of the world’s largest media companies, where he worked on global public relations campaigns and tentpoles for Nickelodeon, MTV, VH1, TV Land and Logo. He also spent time at two top agencies leading publicity and integrated marketing efforts for entertainment, fashion and lifestyle clients and Fortune 500 companies. Based in Los Angeles, Jacob is an avid cyclist who has ridden the length of California three times for charity. Ask him about his terrier rescue, Gus. Ryan Aceto has over 10 years of experience in the music industry and a passion for helping build artists’ careers by focusing on authenticity and positivity. As a senior member of the music team at MTV, he helped to craft the sonic brand of their programming through licensing, music placement and strategic digital marketing of independent music. After leaving television he founded his own company, AMMO Management, where he has developed the next wave of emerging artists and created unique opportunities within the music industry to help them succeed. Now in association with PEG, Ryan brings his wealth of experience and deep music industry relationships to our team. With over 20 years in the music industry, Michael Benedetti spearheaded events for some of the World’s biggest tours and events; including official events for Madonna’s 2005 “Confessions Tour”, 2008 “Sticky and Sweet” and 2012 “MDNA” Tours, Rihanna’s Brazilian Tour and his own branded tours and trademarked events. Founder and CEO of Executive PR and Talent, Michael has developed and launched the careers of Grammy™ winning artists, A list performers and top rated TV stars. Michael loves to explore the world & has an amazing cat. Kaleo Magdaro started as a fashion and textile designer for an overseas manufacturer and eventually become the art director of a major domestic manufacturer and print house. He managed several private label accounts such as: Zara, River Island, Calvin Klein and H&M and two house brands, HYPE and T.L.H. He then went on to jewelry and product design for King Baby Studio and Erica Anenberg. Kaleo currently works as PEG’s creative director overseeing merchandise and creative brand development. He is based in Los Angeles. Arthur Owens is a New York attorney who specializes in leveraging content value through disruptive technologies. He has served as General Counsel for countless new media platforms, and has represented record labels, distributors, technology firms, retailers, music producers, composers, designers, and filmmakers. Arthur created a Continuing Legal Education course for attorneys regarding music royalties in the digital space, lectured on copyright issues at Cornell and Temple Universities, serves as a Moderator of the CMJ industry conference panel on Internet Radio, and is the author of the blog digilegal.biz. He is based in New York City. Jerry Berger is a recent graduate from the University of Texas at Austin where he received two Bachelor’s degrees in both Acting and English. He moved out to Los Angeles in hopes of pursuing a career in entertainment and struck gold when he began as an intern with PEG. Now, as part of the staff, Jerry wears many hats with PEG. 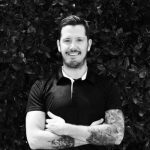 He is the Los Angeles studio manager, oversees online merchandising sales and shipments, an event and production coordinator, a development assistant, social media manager, and more. Jerry feels grateful to work for a company that combines his passion for entertainment and his desire to “make the world gayer” (as his boss likes to say) into one rainbow colored job. You will always find Jerry with a smile on his face and probably talking about the Real Housewives franchises. Ellie Brown is a recent graduate of Ithaca College with a bachelors degree in Television and Radio. She moved to Los Angeles from Upstate New York during her last semester of college, which she spent interning at PEG. Now an employee, she manages eCommerce sales, customer service and social media. She can usually be found agonizing over how to work a pun into an Instagram caption. Richard McGee is a full-stack web developer and a bit of a mad genius. When he’s not cranking out websites at an astonishing pace, he likes to take over his kid’s science projects or build the latest Gundam (“… my favorite? I have to say the Mk-II Titans. It’s got just the right mix of gimmick and bad-assery.”). We don’t know how to put this, but he’s kind of a big deal. He has built sites for hundreds of companies all over the US, and many of our own artists. He is a great talent and we’re lucky and proud to have him on board.